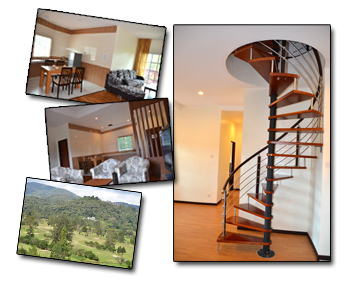 Iris House Resort is located just 5 minutes drive away from Tanah rata town, the apartment itself are spacious with ample parking bays. The resort bills itself as a secured resort with CCTV coverage and round the clock security surveillance. 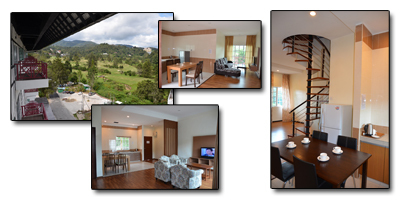 This resort features 51 beautifully-appointed rooms and suites fronting Cameron Highlands' 18-hole golf course. Yes, all apartments face the golf course indeed. You get to see golfers on the greens from your balcony. Tree-covered mountains surround the entire 18-hole course, providing a spectacular backdrop for all visiting golfers. At about 1,500 metres above sea level, it is the highest area on the mainland and enjoys a cool climate and fresh air, with temperatures ranging between 15° and 25° Celsius. No trip to Cameron Highlands is complete without a trip to the tea plantations. This is one of the main attraction that's got to be in your "must see" list. You can visit the factories to learn about the tea making process and you can also sit down and enjoy a cup of tea at the cafe. The view overlooking the plantations is beautiful and perfect for the picture album. There are plenty of jungle treks of varying difficulty and duration to satisfy nature lovers. Most of the trails are located around Tanah Rata. All these trails lead to the waterfalls and the mountains. Some tracks are ideal an evening stroll while others are tough and require a good fitness level. Please check with our front desk staff for further details. There is no shortage of places to eat in Cameron Highlands when it comes to food. At night (especially during weekends & holidays) restaurants are packed since there's very little to do after the sun goes down. You can get everything from Western, Chinese, Indian and Malay food to Thai and Japanese food here. Most restaurants are located in Tanah Rata and Brinchang however you could also find some good restaurants in Tringkap and Kampung Raja where the locals usually dine. Dining out here at Cameron Highlands can be a great experience especially with the cold weather and freshness of the greens. The most favorites among the many are “Steamboat Dinner.” Having steamboat dinner on a cold highlands night is something you should never miss. There are a lot of restaurants in Tanah Rata and Brinchang which offers this treat. Price starts from RM12-RM22 per person. The fresh and cool climate and its surrounding mountains and valleys make this a very popular retreat for golfing, jungle trekking and exploration of the many plantations and gardens. 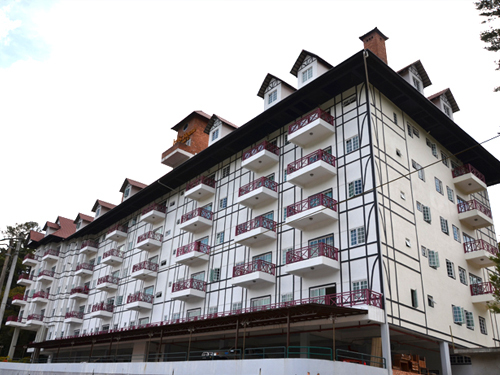 Cameron Highlands Iris House Apartment Resort is ideal all year round for families, honeymooners and holidaymakers out to satiate their appetites for trails, tales and tradition. Copyright © Iris House Hotel Sdn Bhd 2012. All Rights Reserved.